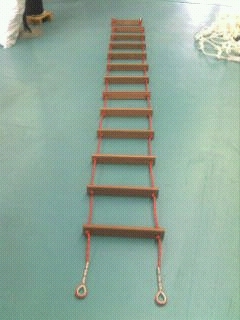 Pond Escape Safety Nets are designed to assist in egress from a lined pond. These nets are made from 14mm Polyethylene with a 300mm x 300mm mesh. All nets are manufactured in our Brisbane workshop (NOT IMPORTED). 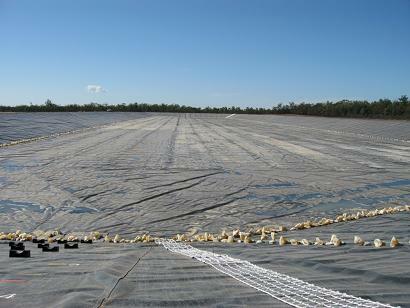 Each net has a series of weighted HDPE pipes to keep the net on the liner regardless of water level and a series of HDPE spreader pipes to maintain net shape. We can also supply galvanised support posts with an extra hook to hold SOLAS approved life rings if required . 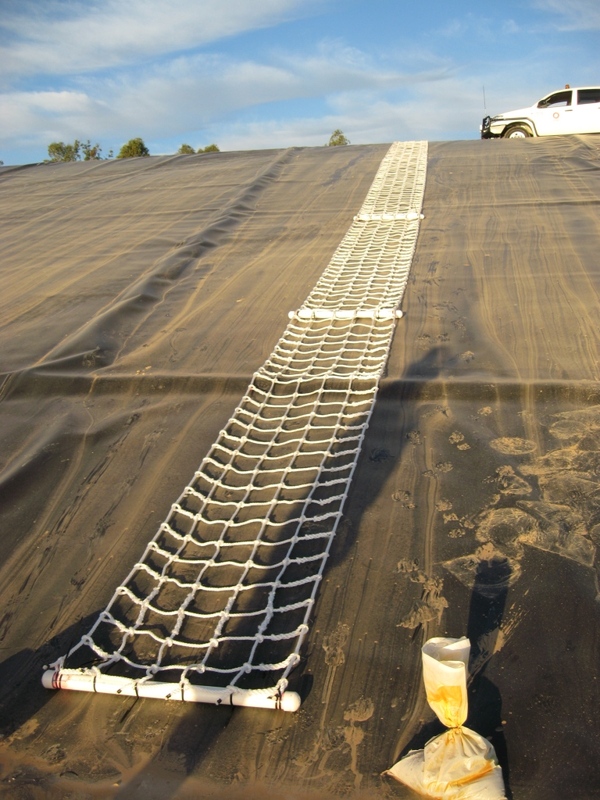 We have supplied these nets to power companies, CSG and LNG sites in the Surat Basin and throughout Australia. 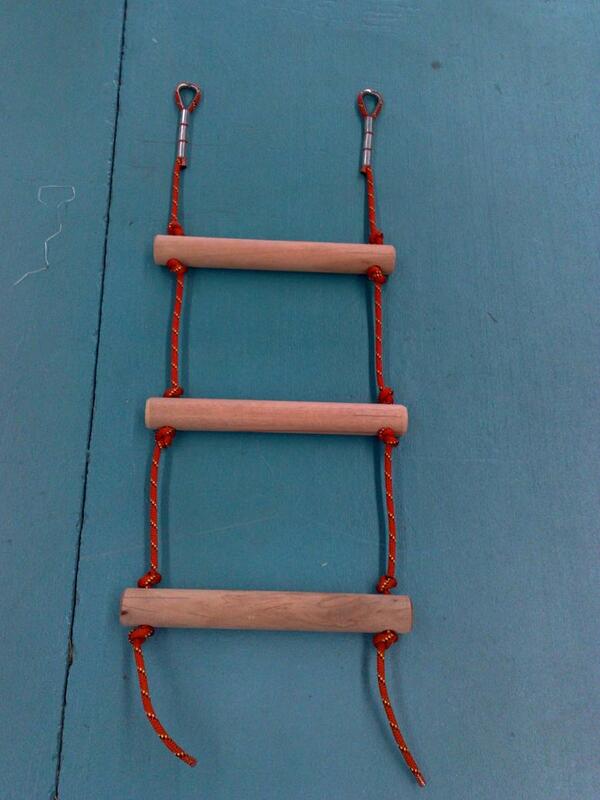 Emmetts Ropes can also supply round tread or flat tread ladders used within the lining installation process. If you are interested in these nets please contact us.